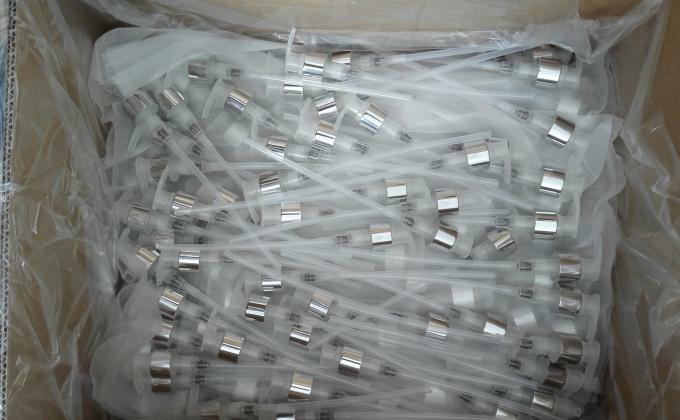 Aluminum, PP, PE, SUS 304, Etc. Used For Shampoo, Hair Conditioner, Shower Gel, Liquid Soap, Etc. 10. Samples free for common colors like white / black / transparent, freight collects. 11. Application: Used for shampoo, hair conditioner, shower gel, liquid soap, etc. 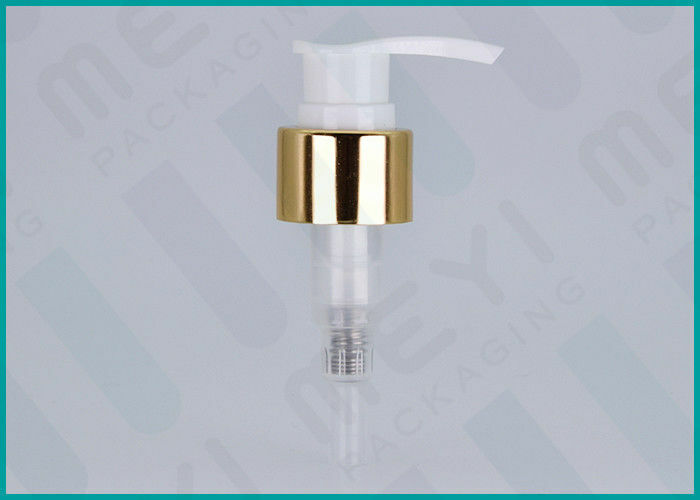 These 2 cc white lotion pumps have anodized aluminum collars and allow for high viscosity products such as lotions and liquid soaps to be easily dispensed. When screwing up, the pump is open and when screwed down, the pump is closed. 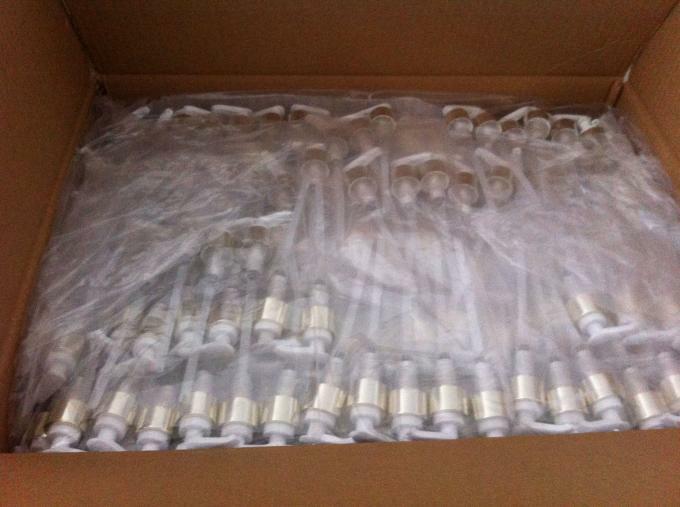 These white and gold lotion pumps could be used with a variety of glass, plastic or metal containers. Be sure to test lotion pumps with your container to ensure proper compatibility. 1. Is there a minimum order requirement? You can reach us between the hours from 8:00 A.M. to 6:00 P.M. (Time zone GMT+8, from Monday to Saturday except Chinese national holidays. 4. Do you sell any additional products not listed on your online catalog? We sell over 20,000 different types of glass perfume bottles or cosmetic packaging items and are always adding new items to our website. However, every item that we currently sell is listed on our website. If you cannot find the exact packaging bottles or perfume & cosmetic package product that you are looking for, please e-mail your request support at sales at meyigroup dot com and we will be happy to verify whether or not this is an item that we carry. 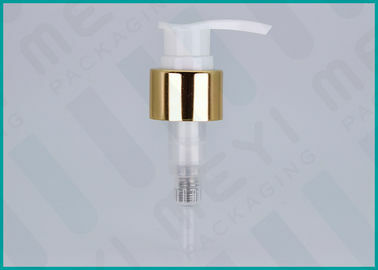 We are a professional cosmetic bottles and pumps manufacturer. All of our bottle products are made in different materials and in different weight with different artwork or decoration request. So we do not have a price catalog. 6. How do I know I can trust ordering from you? MEYI PACKAGING is a member of Alibaba’s Golden Trusted Supplier and we have many experiences in broad Beauty Exhibitions in different countries and is proud to have a rating of Excellence. We have been in cosmetic packaging business since 2008 and are committed to bringing our customers 100% satisfaction. Yes. 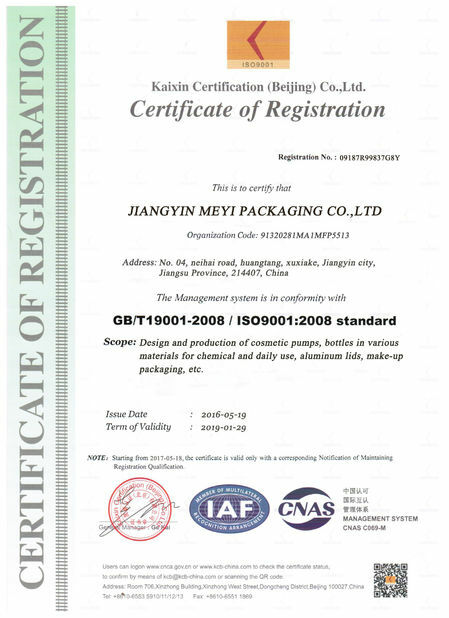 We have a professional team having rich experience in cosmetic bottles and caps design and manufacturing. Just tell us your ideas and we will help to carry out your ideas into perfect bottles and cap. We can make design drawing and 3D display to you. It does not matter if you do not have someone to complete files. Send us high resolution images, your Logo and text and tell us how you would like to arrange them. We will send you finished files for confirmation. 8. What is your term of delivery? 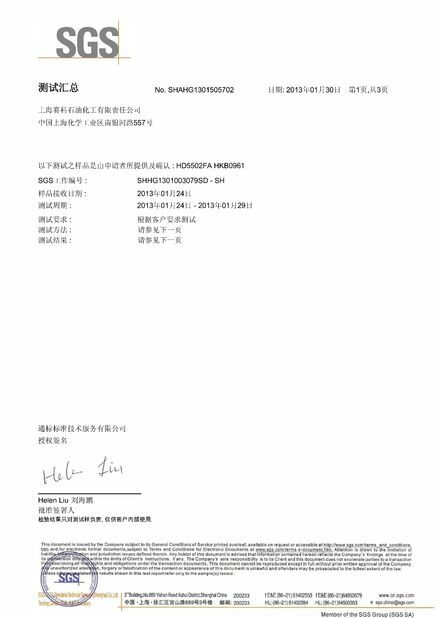 We accept Exwork, FOB, CIF, DDU, DDP, etc. You can choose your ideal term which is the most convenient or cost effective for you. T/T. 30% deposit, balance before shipment. You can use also alibaba trade assurance. 10. How do you control the quality? 11. If any quality problem, how can you settle it for us? If any breakage or defect products were found, you must take the pictures from the original carton. All the claims must be presented within 7 working days after discharging the container. This date is subject to the arrival time of container. All our products have a quality warranty of 2 years.